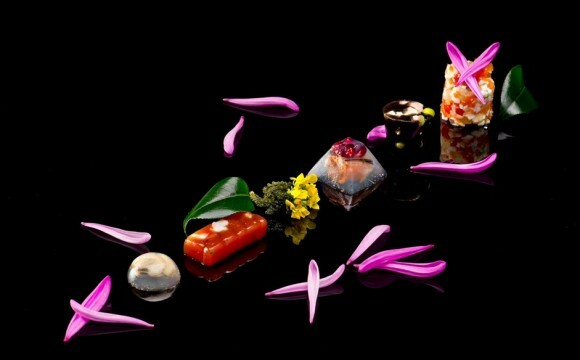 Daniel Negreira, a Galician, Iberian native, Chef and Author, based in Taipei (Taiwan), have been exploring culinary techniques to transform the fruits of Mother Earth into delicacies. DN Innovations is a fine signature dining restaurant in the heart of Taipei, focused on creative Regional Spanish cuisine, with an elegant, forward thinking and an ultra-modern setting. We compliment each meal with the utmost care and attention to details. DN Innovations, executive Chef, Daniel Negreira, formerly of El Toro, along with his dedicated team, have been creating seasonally inspired dishes with the freshest local and imported ingredients available. What words, can perfectly describe our philosophy ? Chef Daniel Negreira, of DN Innovations, stated : “ There are no limits in creating, no limits, for the endless quest for perfection, no limits in our obsession for details, no limits for one´s dreams, because, once you set a limit upon your dreams, you will stop living those dreams “.